What are the benefits of low FODMAP product certification? 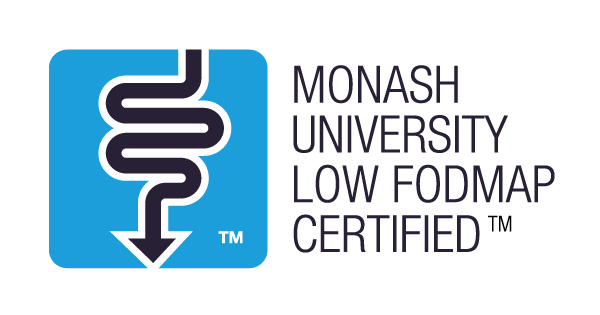 Licensing to use the official Monash University Low FODMAP DietTM badge on your certified products – making them easy to spot in the supermarket. Inclusion in the Monash University Low FODMAP DietTM App – used by over 2 million people worldwide. Feedback on your products from the Monash University dietitians – the team that pioneered low FODMAP research. Why should I certify my recipe? Give people with IBS confidence to eat at your cafe or restaurant. Reach a broader audience for your low FODMAP recipe book. Who’s Monash University Low FODMAP CertifiedTM?